Line 3 – ΑΤΤΙΚΟ ΜΕΤΡΟ Α.Ε. The construction of Line 3 commenced in November 1992. 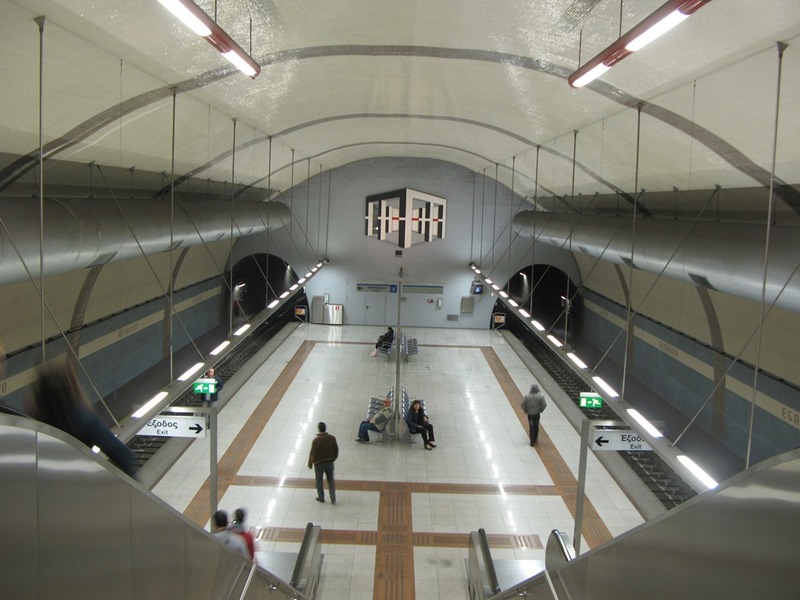 The 7 first stations of the Line in SYNTAGMA – ETHNIKI AMYNA section were handed over to the public in January 2000, while the last section of the Base Project, SYNTAGMA – MONASTIRAKI section comprising of 1.4km of tunnel and one station, was commissioned in April 2003. 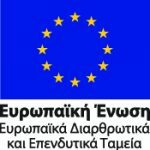 ETHNIKI AMYNA–DOUKISSIS PLAKENTIAS–AIRPORT extension is a section of the Athens Metro Line 3 covering an underground route of 5,9 km long up to DOUKISSIS PLAKENTIAS Station. 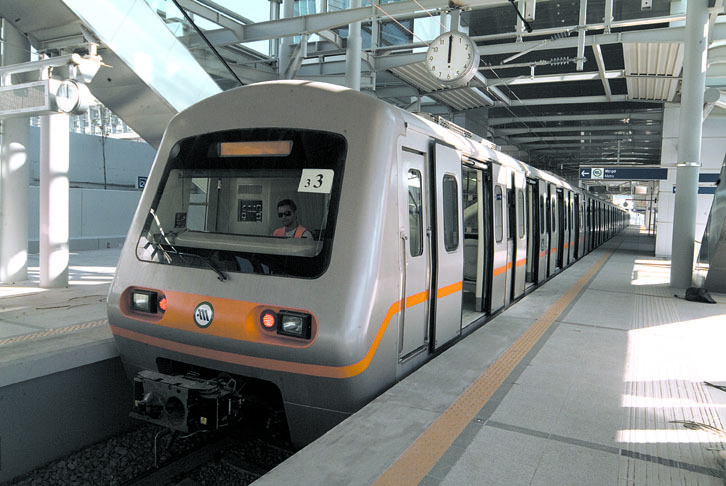 At this point, the Metro trains emerge at the surface level and cover a distance of 20.7 km- using the Suburban Railway network- in order to reach ELEFTHERIOS VENIZELOS International Airport. Line 3 extension from ETHNIKI AMYNA to DOUKISSIS PLAKENTIAS includes 5 stations: HOLARGOS, NOMISMATOKOPIO, AGHIA PARASKEVI, HALANDRI and DOUKISSIS PLAKENTIAS. 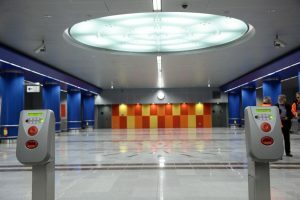 NOMISMATOKOPIO Station was commissioned early September 2009, HOLARGOS Station mid July 2010, while AGHIA PARASKEVI Station at the end of December 2010. At the same time, a new Depot (covering a area of 60, 000 sq.m.) 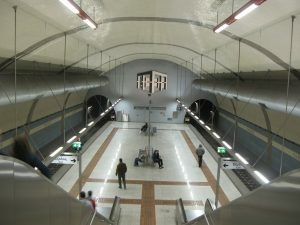 was constructed to serve the needs of Line 3 in the area of Doukissis Plakentias, which is connected to DOUKISSIS PLAKENTIAS Station via a tunnel, 200m long. HALANDRI Station has been constructed in such a way so as to enable the future lowering of Plakentias Avenue (Pentelis Avenue). DOUKISSIS PLAKENTIAS Station is located below the multi-level junction of Attiki Odos. Compatibility between the Suburban Railway and the Metro line. The underground tunnel, which continues past DOUKISSIS PLAKENTIAS Station, emerges at the median of Attiki Odos. At this location, a provision was made to make a connection with the Suburban Railway line, which requires special systems layouts for the smooth changeover of the metro trains to the suburban railway network. ELEFTHERIOS VENIZELOS Airport Station serves the suburban railway and the Metro trains from different platforms. Moreover, there is a direct connection with the main Airport building. The distance between Monastiraki Station and the Airport is covered today in just 37 minutes. Line 3 Extension from Monastiraki to Egaleo is considered to be the most important transportation project in the western suburbs of the city. Regions not properly served by public transportation modes and less developed, exhibiting heavy traffic and quite extensive environmental pollution (Iera Odos and Thivon) are now enhanced thanks to the Metro operation. The Line extension is 4.2 km long and includes 3 stations (KERAMIKOS, ELEONAS & EGALEO) and seven ventilation shafts. The Project was commissioned on May 26th 2007 and the western suburbs of Athens are now directly connected with the International Airport “ELEFTHERIOS VENIZELOS”. All three new stations are characterized by high aesthetics, while their areas are of particular architectural layout. The stations are decorated with stations-specific works of art. 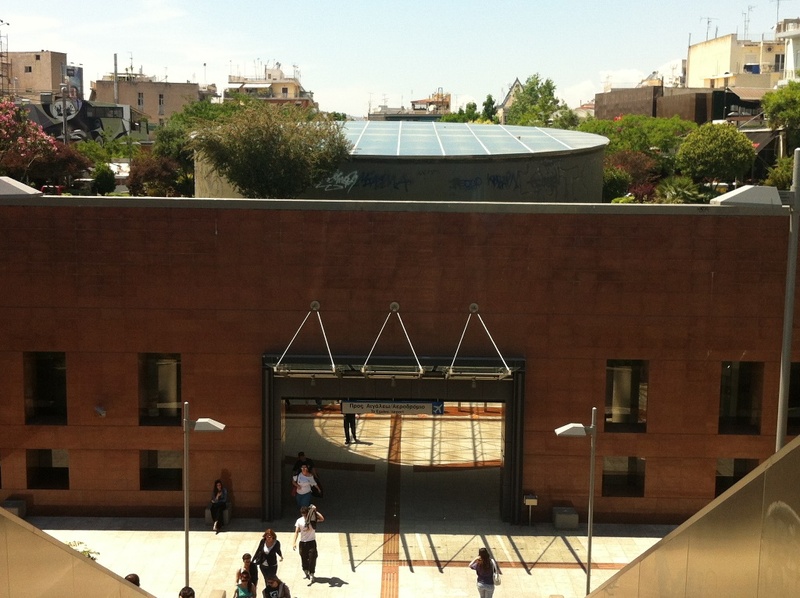 In particular, KERAMIKOS Station is decorated with the work of Yiannis Bouteas entitled “Diastromatossis–Energiakes ikones-XVI”, ELEONAS Station with the work of George Lazongas entitled “Diadromes” and EGALEO Station with the works of the late artistOpy Zouni entitled “Kiones – Skies” and “Tesseris Pyles ston xoro”. In the aforementioned stations, specially designed areas have been also formed where the most significant archaeological finds from the excavations are to be displayed. Easy, rapid and reliable access to the city center. It is worth mentioning that the distance from Egaleo to Syntagma, currently covered by car in at least 40 minutes during rush hours, will be now covered in only 7 minutes by Metro! Connection of the Western Suburbs with Athens International Airport ELEFTHERIOS VENIZELOS. Mitigation of traffic problems and environmental pollution. Display of our cultural legacy in areas inside and outside the new Metro Stations. Re-development of the squares occupied for the project construction needs. New commercial activities are already developed in the surrounding area of the Metro stations, while the fact that the new stations are of high aesthetics will contribute to the upgrading of the image of the wider area. 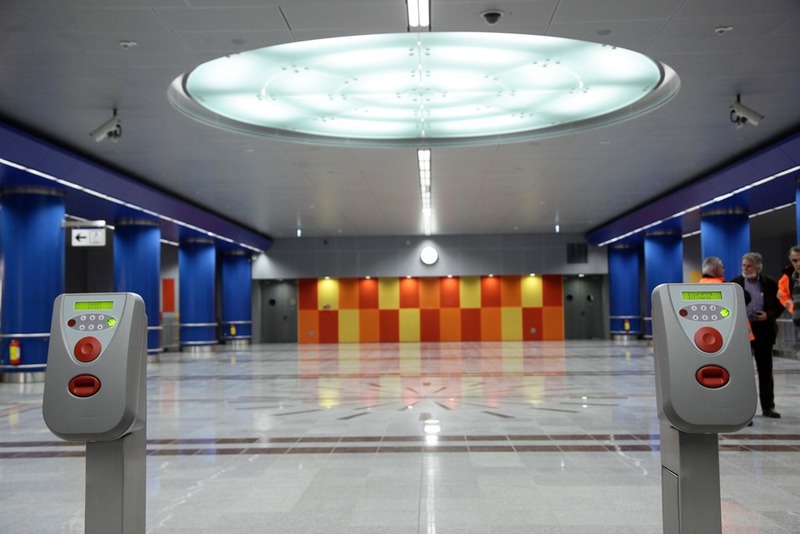 Moreover, ATTIKO METRO S.A. proceeded with the new configuration of Egaleo Square underneath of which the new Metro Station is located. An underground parking facility of a capacity of 400 places for private vehicles shall be constructed adjacent to this Square for Metro transferring purposes. A similar parking facility shall also be constructed in ELEONAS Station. Finally,an underground modern 5-storey parking facility with a capacity of 270 private vehicles has been constructed in Keramikos and is expected to be delivered to the public soon. In December 2013, ATTIKO METRO S.A. commissioned a new 1.4km long extension of Line 3 from EGALEO Station to AGHIA MARINA Station (Municipality of Aghia Varvara). AGHIA MARINA Station serves more than 30,000 passengers/day and it is estimated that the total daily ridership in Aghia Marina-Monastiraki Line 3 section exceeds 100,000 persons. 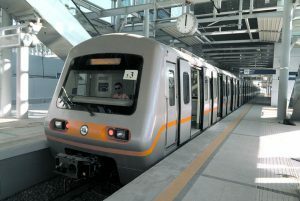 Travel time between SYNTAGMA – AGHIA MARINA Stations is 8 min; this extension ensures transportation services to/from the wider area of Egaleo, Haidari and Aghia Varvara Municipalities and, in particular, to/from the Hospital for Infectious Diseases, Dromokaitio Hospital, Attikon Hospital, facilitating at the same time all commercial activities developed in the area. Through this Metro extension to one more area of the Western Suburbs of Attica region, ATTIKO METRO S.A. provides the optimum possible transportation services to the involved Municipalities, offers rapid and safe transportation, and actually upgrades these areas. Moreover, Eleonas Depot, extending over a total area of 86,000m2, was also constructed in the framework of this contract, a project indispensable for Line 3; this Depot is already operating and serving the Metro network. It is also noted that in the area of the underground Eleonas Depot, ATTIKO METRO S.A. has undertaken the construction of the Central Intercity Bus Terminal. Finally, in the framework of this contract, a Transfer Station/Parking Facility with capacity of 382 places was constructed next to AGHIA MARINA Station and delivered to the public in April 2014. This Transfer Station/Parking Facility serves the park-and-ride needs of citizens of Aghia Varvara, Egaleo and Haidari Municipalities and of the wider Western Attica region (Elefsina, Mandra etc.). This is a six-storey parking facility: one of these storeys is underground and operates in accordance with the highest safety standards for maximum passenger comfort.